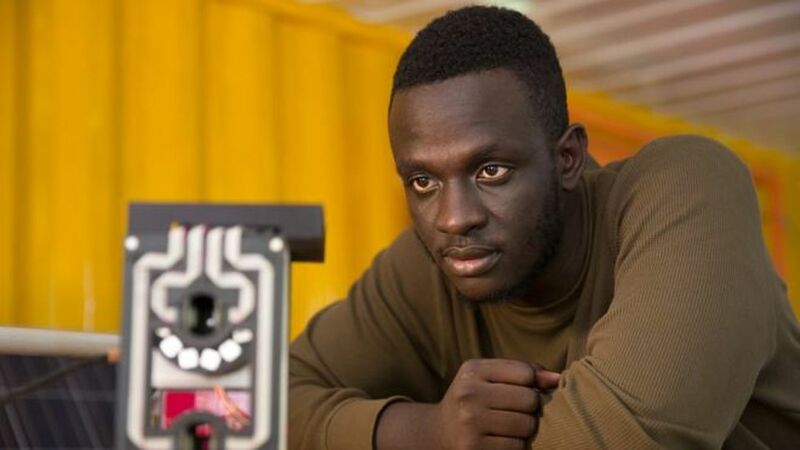 KAMPALA- Ugandan software engineer, Brian Gitta in June this year won the Royal Academy of Engineering’s, Africa Prize for developing a test kit that can detect malaria using a beam of light to test a patient’s finger. The test kit called Matibabu or “treatment” in Swahili is connected to a phone or laptop where it relays results. A red beam on the kit detects changes in the shape, colour and concentration of red blood cells, affected by the malaria parasite. Matibabu wants to replace traditional methods of checking for malaria through blood tests and promises to give a quick diagnosis. The 24-year-old is the youngest and first Ugandan winner of the prize of 25,000 pounds. Mr Gitta in a video by Reuters an international agency, one of the biggest competitive advantage his innovations has is the non-invasive. Matibabu team. Brian Gitta, Shafik Sekitto. Kampala, Uganda. Picture: JAMES OATWAY for Royal Academy for Engineering. “The patient holds still and inserts their finger into this device and then the device is started with either the phone or the laptop that is connected to the device. 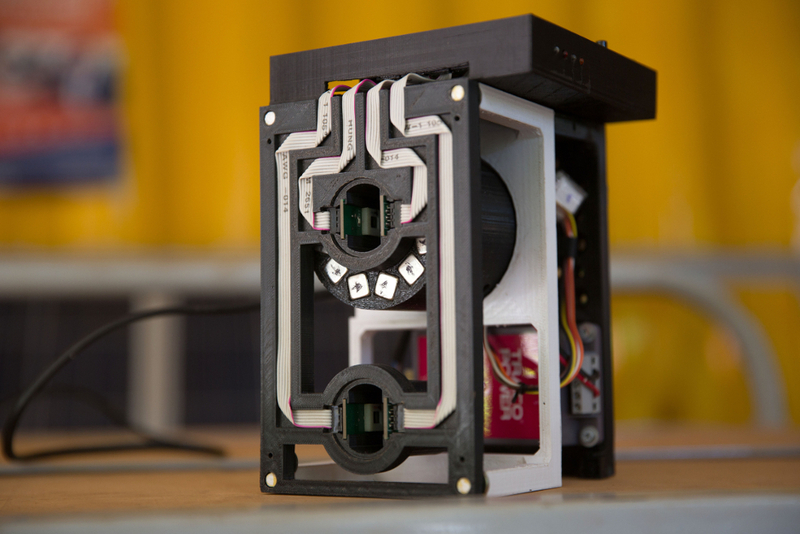 Holding still for two minutes, the patient leaves their finger into the curvature for the device and after the sampling, the results are sent to the laptop or to the phone to show whether you have malaria or not,” said Gitta. The youngster also hopes the kit will help reduce unpleasant tests and costs for patients as well as discourage people from self-medicating whenever they have symptoms of fever. Gitta worked with a team to develop the device over four years after skipping classes at various points because of having malaria. 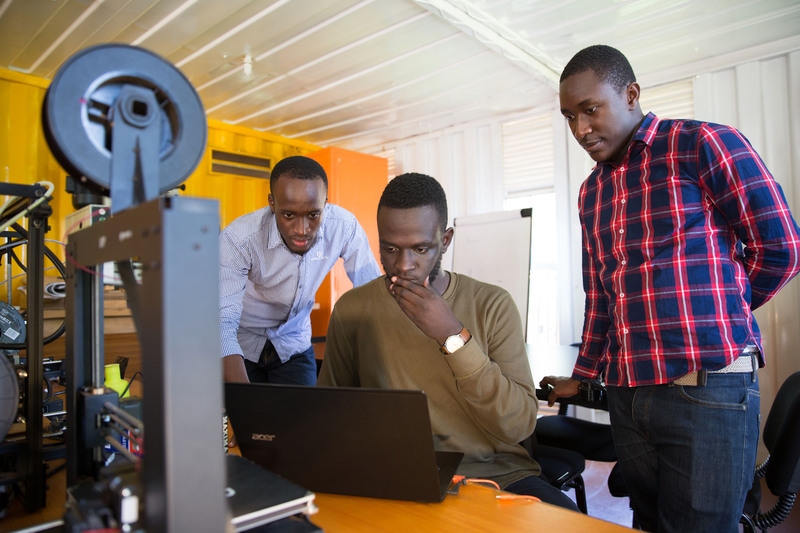 They started working on the project when they were university students studying computer science at Makerere University. They came up with five different prototypes during the research period. Uganda has one of the highest rates of malaria in Africa, recording about 16 million cases a year, according to the Ministry of Health. Doctor Joseph Okia, a physician at Nakasero Hospital in the same video by Reuters says the innovation could be a game-changer that helps reduce costs in managing hospital waste like used needles but warns that the device would need to give very accurate test results to be effective. “When we look at medical tests, we have something called sensitivity and specificity. Sensitivity means how likely is this test able to detect someone with malaria. Usually, we want to aim for something above 95 percent; the developers have talked about 80 percent. The second question is specificity, how specific is this test for malaria, what if I have another infection, will this test also say positively if something else happens in my blood cells? So those are the two questions I think we want to know about these tests,” said Okia. Mr Gitta also says there is the possibility of scaling beyond just malaria. “I mean to go into things like sickle-cell anaemia and other deficiencies that affect the red blood cells. So the whole objective is us producing solutions that help communities or people in the communities access the healthcare as fast as possible,” said Gitta. Various researchers and organisations have since offered to support the project.